One musician found that listening to an instrument over headphones provided less distortion than hearing it in the acoustic environment of the room. Just as there are electronic pickups for guitars, you can get pickups for many other instruments. Barcus-Berry makes pickups for many instruments, including this musician’s piano – a Steinway D concert grand! 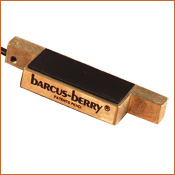 The Barcus-Berry 4000 is an acoustic pickup that attaches to the sound board without drills or tools. Plug its output into a headphone amplifier such as this one from Berhinger, and you will be all set to have a very intimate experience with your favorite instrument. Make sure to search the web for good prices on both pieces of equipment. The wire on the left comes from the pickup. Unit A is the preamplifier from Barcus-Berry. 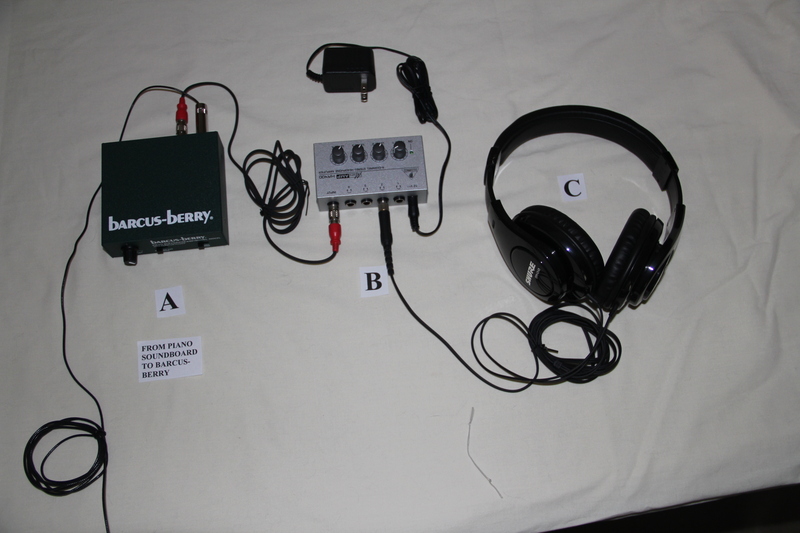 B is the headphone amplifier, and C of course is a pair of quality headphones.